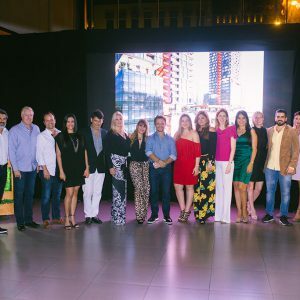 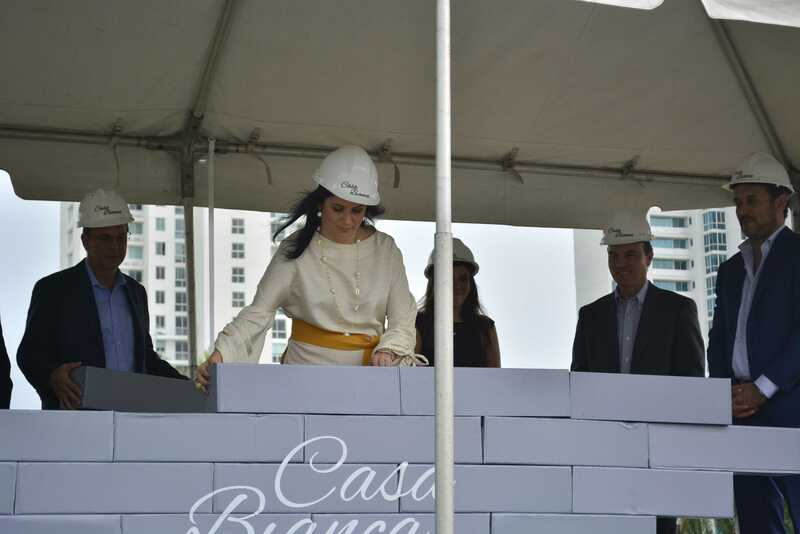 As part of the projects that EMPRESAS BERN develops in the area of Costa del Este, on August 23, 2018 we carried out an event to celebrate the placement of the “First Stone” of the project Casa Bianca. 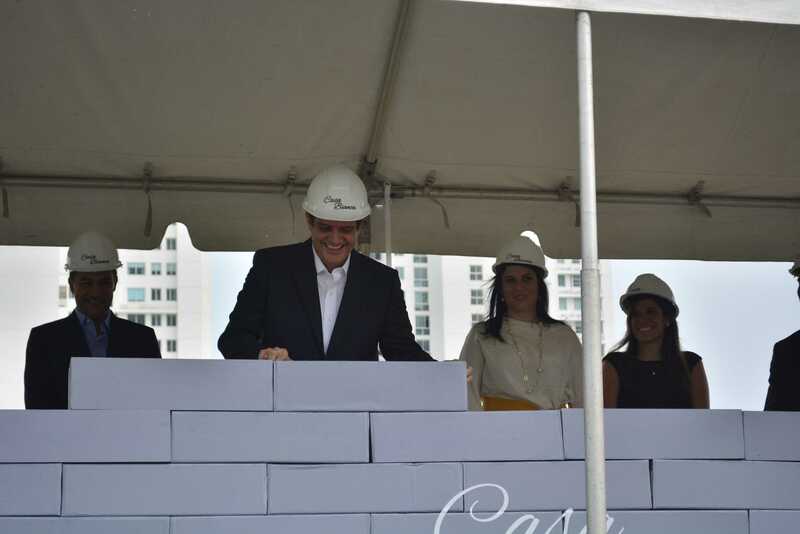 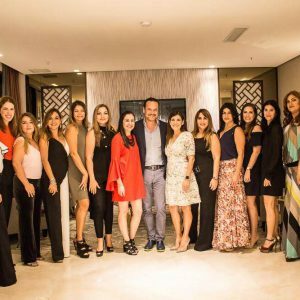 This event counted with the participation of clients, brokers and media. 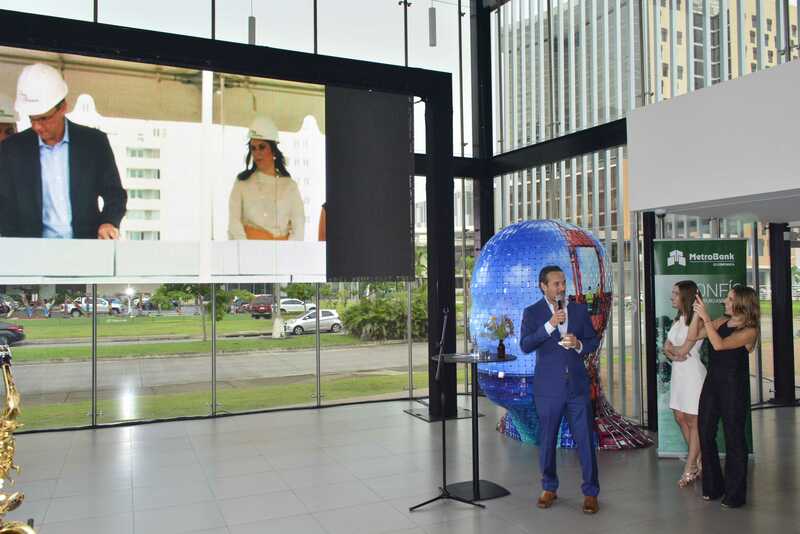 The event took place at the Empresas Bern Sales Office at 3:00 p.m. in which, the guests were witnesses through a broadcast of the ceremony carried out on site with the presence of the project partners. 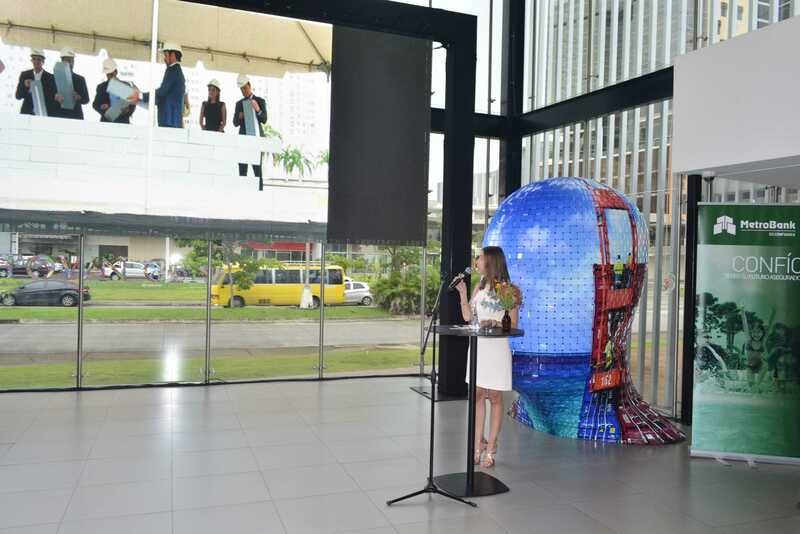 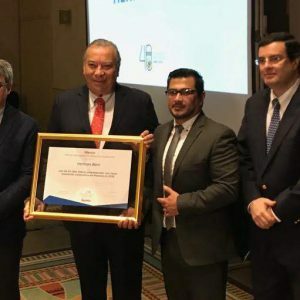 Those attending the event could learn more about the project with the presentation of Alexandra Brauer, Project Manager; Laura Taboada, Sales Manager and the toast given by José Manuel Bern. 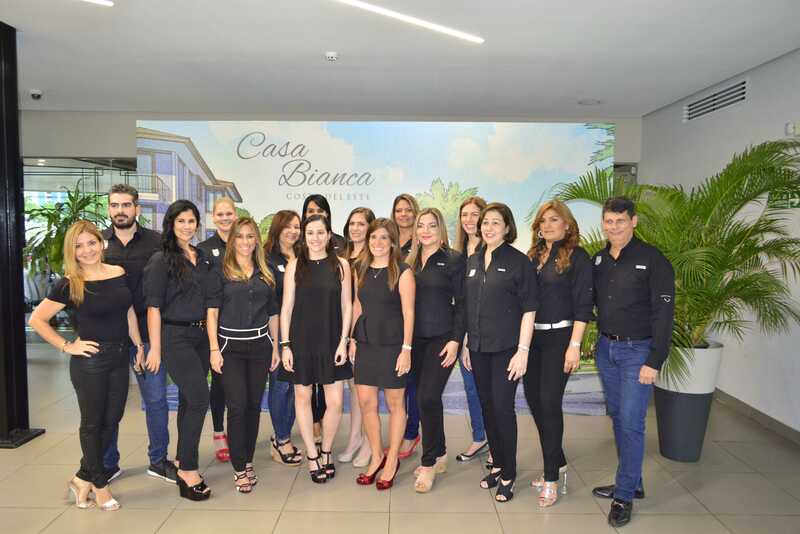 The Casa Bianca project is unique and exclusive in the area. 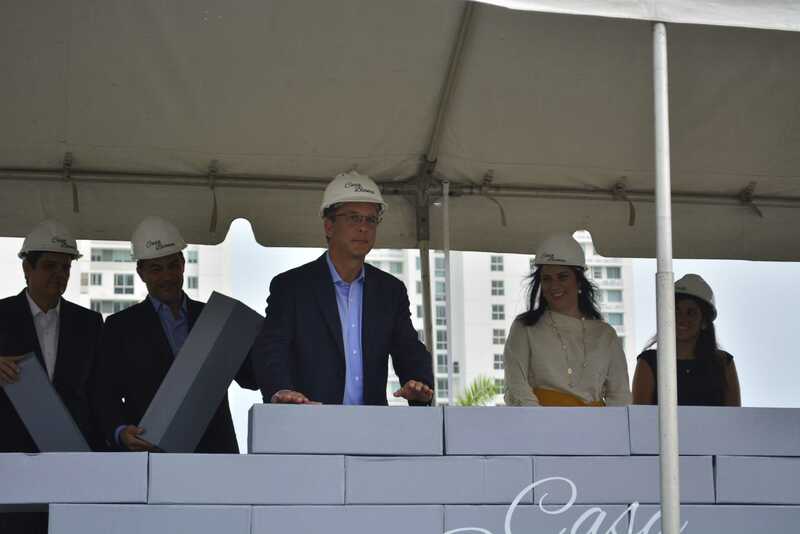 It will be composed of several modules of buildings of 4 floors and apartments of 3 to 4 bedrooms. 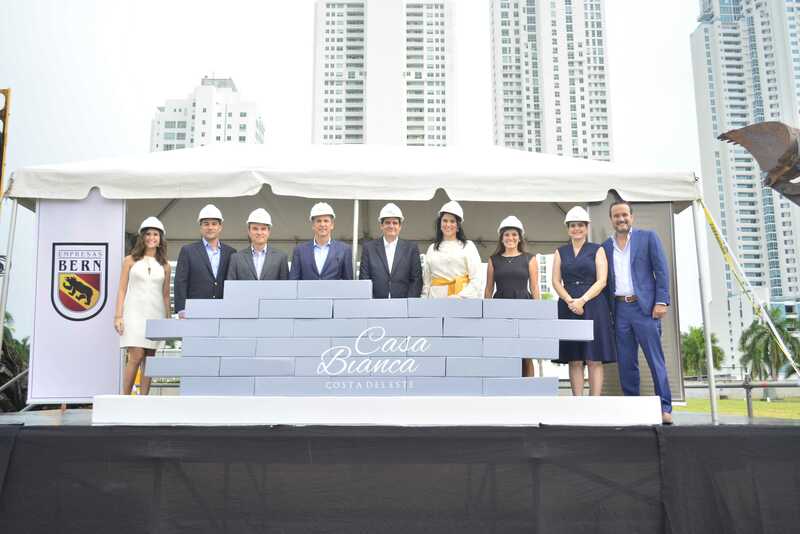 With the placement of the “First Stone” begins the construction of the first phase which will be modules A and B; and the social area of the complex. 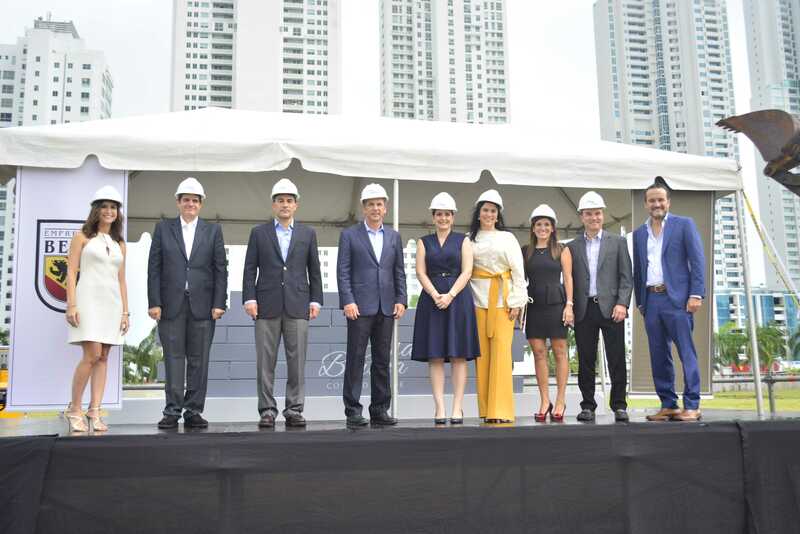 The project will be located between Calle del Sol and Ave. Marina Sur in Costa del Este, a few steps from the most luxurious shopping center in the area: Town Center Costa del Este. 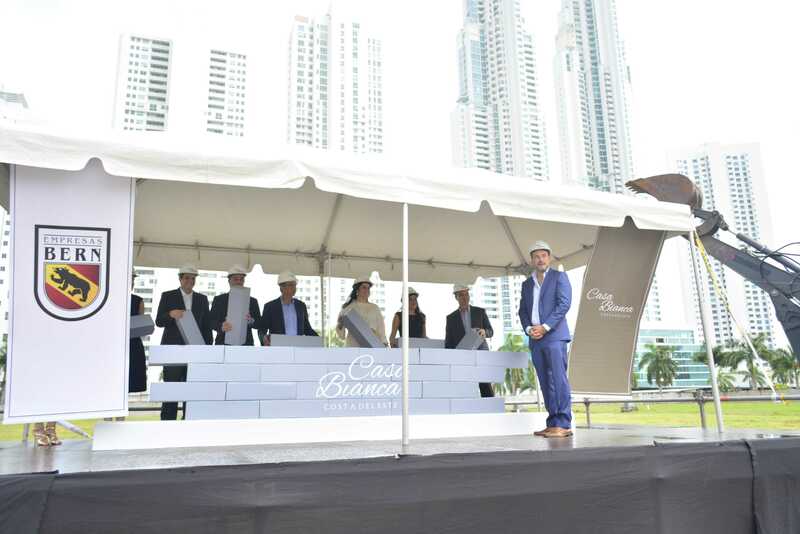 With its unquestionable seal of quality, EMPRESAS BERN continues to develop new projects with innovative and modern designs.